See if this hasn’t happened to you. 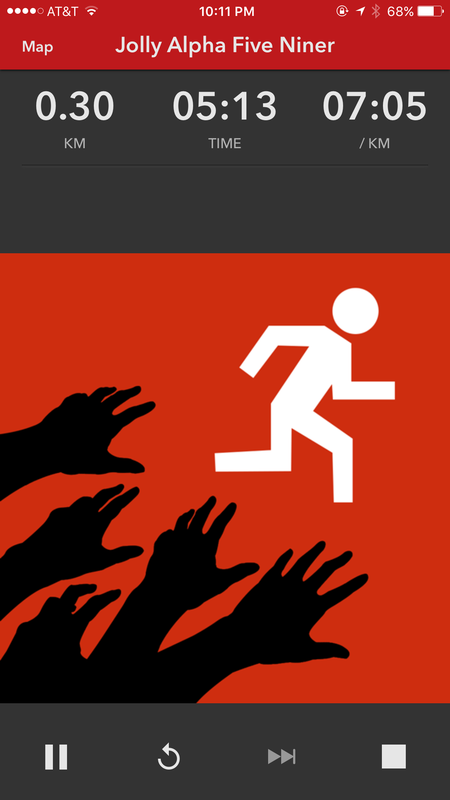 You’re in the middle of a run listening to music or in the middle of an intense Zombies Run! episode. Or you’ve walked into an area with multiple lures and a bunch of rare Pokemons pop up. And then you get the dreaded message, “Your phone is low on battery. Recharge or connect to a power source”. It’s happened to me many times. Most often, it’s because I’m running around in meetings at work all day with my phone and can’t get to my computer in time to give it a full charge. It doesn’t help that my phone is getting older. Each time you charge your battery, it ever so slightly decreases the battery life. The kinds of apps I’m reviewing here for fitness and exercise, including Pokemon Go and Zombies Run!, not to mention traditional workout apps like Strava or Runtastic, are notorious for draining your phone’s battery, simply because you need to have them on all the time, and they are constantly using your cellular data and your GPS, two of the biggest battery drainers. You’ve probably heard of portable battery chargers, but the options can be dizzying. Here are my personal favorites. The Anker 20000mAh Portable Charger provides relative lightness with huge capacity and the fastest charging available. It’s on the heavier side at 12.5 ounces (about double or triple the weight of your phone, or the weight of a can of soda) but the weight is proportional to how powerful it is. It can charge your iPhone 6s about eight times, an iPad Air about 2 times, or a Galaxy S6 five times before needing to be recharged. Its maximum charging speed is 4.8 amps, meaning that if you plug one phone into one USB port and the other phone into the other, both will enjoy fast 2.4 amp charging. The list price is about $80, but you’ll typically see it on sale for about $40. If you need the maximum in capacity, you’ll want the Anker Astro E7 External Battery Charger; this is the one I personally have. It holds a whopping 26800 mAh capacity. It’s the heaviest portable battery at 15.8 ounces but if you frequently find yourself running out of power on long trips, this is the one for you. When my wife and I go out, I just bring this one battery and charge my iPhone and her Galaxy on it. Something else I like about all these batteries is that there are protections built in to prevent your device from overcharging or power surges. What I usually do is just put it in my pocket and run a line to the phone in my hand. It comes with a micro USB cable for most Android devices, and you can purchase a cheap MFi (Apple certified) Lightning cable for your iPhone or iPad directly from Amazon. This thing has saved me many, many times, and it’s my charger of choice. It easily handles a 5-hour cross-country flight with plenty of juice to spare. On the last cross-country flight I was on, I saw that the poor woman next to me had run out of power after an hour into the flight on a flight with free Wi-Fi. I offered to let her charge on my battery, and it was like giving a cup of water to someone dying of thirst. 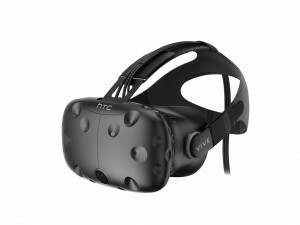 This one isn’t cheap at a list price of $119.99 (although more typically you’ll find it selling for about $55), but it’s well worth it if you want the ultimate in extended battery life. If you’re looking for something more portable, or a little more affordable battery pack the size of a tube of lipstick, try their PowerCore+ mini portable charger. It’s able to charge an iPhone 6 a little more than one complete time before it needs recharging, so it’s great if you just need power for the commute home or the short trip to the store. Of course, the most impressive thing is this thing’s weight–at less than 3 ounces it’s about the weight of an egg. You won’t even notice it in your pocket or your purse. And at under $20 chances are you won’t notice the dent it makes to your banking account as much as other portable battery solutions. This isn’t a paid spot–I’ve owned just about every Anker charger since the beginning, and have paid full price for them, and they only get more impressive. Don’t leave home without one when you need to hunt monsters or run from zombies. Back in 2013, I reviewed a game for the Wii U called Wii Street U. 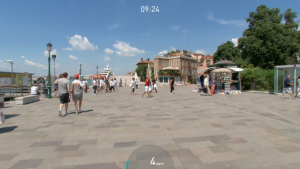 This was a game where you could “walk” on your Balance Board, and on your TV screen you could “walk” anywhere in the world that Google Maps’ cameras had gone. It was relatively groundbreaking at the time; until then you were relegated to watching DVDs or screens on very, very expensive treadmills to get any kind of “virtual tour” that responded to your movements. But as you can see from the gameplay video in my review, the experience was choppy and more a curiosity than anything else. 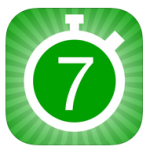 That same year Active Theory Inc. released an app called BitGym, available at the iTunes Store and Google Play Store. In the early years they had a few kinks to work out but three years later the app is pretty polished and has powered over a million workouts. If you have an indoor cardio machine–an exercise bike, an elliptical, a stair stepper, a rowing machine, or a treadmill, there’s a good chance your machine has been collecting dust or has been used as a very expensive coat rack. It’s tough to keep from being bored to tears on cardio equipment. Sure, you can try reading a book or watching TV, but if my experience is anything like yours even that’s tough because your brain is trying to do two different things at the same time–partake in an activity usually associated with relaxation, and doing extreme physical exertion. The idea behind the app is simple yet brilliant. You get on your indoor cardio machine and place your tablet or phone in front of you. You can optionally purchase a Bluetooth heart rate monitor (they recommend the Wahoo Tickr or 60beat Blue) which integrates with the program. You select your machine type: a bike, a treadmill, an elliptical, or an ergometer (rowing machine). You then experience from a first person perspective a high-resolution video tour of a bike trail, hiking path, or running trail from around the world. 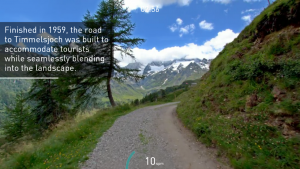 All together there are more than 100 HD video tours to choose from in some of the world’s most beautiful locations (the first demo is a gorgeous trail that runs through the mountains of Northern Italy). Unlike passively watching a DVD, the video speeds up and slows down based on your own workout. 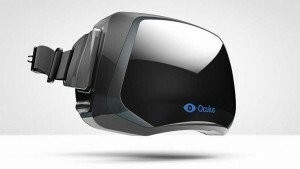 The result is the very definition of virtual reality–you really feel like you’re there. Instead of your brain getting mixed signals–am I watching TV or am I biking–your brain just accepts that yes, you’re in Northern Italy biking happily along a trail. Your brain becomes less aware on your physical effort as you focus more on your surroundings in the video. Adding to the realism, you can turn on “nature sounds” to give you a truly immersive experience. Amazingly there’s nothing to connect–the way this app works, it’ll use your smartphone’s front-facing camera to detect your video image, and then it’ll use the subtle movements of your face and body while exercising to gauge the cadence and intensity of your workout. The faster you’re moving in real life, the faster you’ll move in the scene. Stop in real life, and the video image will stop. The motion detection is uncannily precise, especially considering that it’s just gauging your motion based on your video image and your phone is not hooked up to your machine. As long as your room is fairly well lit (but not too much so) and your phone is placed right in front of you, it’s work near perfectly. And it’s not easy to “fake”, as if it were worth your time to even attempt to do that. The locales you choose from are real, from Buenos Aires, to all the islands of Hawaii, to the streets of Paris, to the Canadian Rockies, to the jungles of Costa Rica, to the islands of New Zealand, to a number of National Parks. The videos are spectacular in their clarity, and you can choose to view the moving image on your phone or cast it to your high definition TV using HDMI, Chromecast, or Apple TV. Here’s a screen grab of me running through the streets of Venice on that same tour. And here I am biking through the wild streets of Chicago. You can choose to have a number of overlays to give you all kinds of information about your workout. You can overlay a continually running estimate of your steps per minute on the bottom of the screen, and your elapsed time on the top. You can also choose to have “Trail Facts” pop up from time to time that tell you the details of the path you’re running. 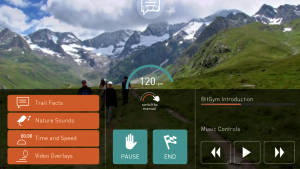 From an audio perspective, you can choose to play nature sounds by themselves or a playlist from your phone or both. Personally, I prefer to shut off all overlays and turn on nature sounds, which lets me experience the maximum realism. The only way I can think of to improve this is with a virtual reality headset like Oculus Rift, HTC Vive, or PSVR to give you the ultimate virtual reality experience where you can actually look around as you run. Something tells me they’re probably working on that as we speak. You can download the app for free to try out the Northern Italy run, and if you remain a free user you’ll be limited to a selection of locations and checkpoints, as well as a maximum of 10 minutes. In order to access the other 100+ trails, as well as guided tours and coaching videos, you’ll need to sign up as a member and pay an annual fee of about $95. It might seem pricey compared to other smartphone apps, but on the other hand if you think about it $2 a week is a small price to pay to breathe new life into your workout, and a lot less than a gym. Another option is to download another app called Virtual Active for iOS. Virtual Active is a company that produces video tour DVDs for home use, as well as for high-end cardio machines. 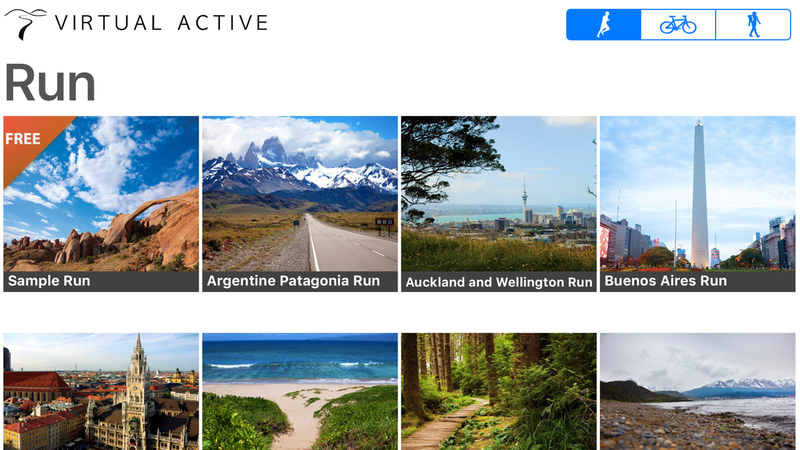 It appears that they’ve partnered with Active Theory to develop an app that features their videos and makes them interactive through BitGym technology. 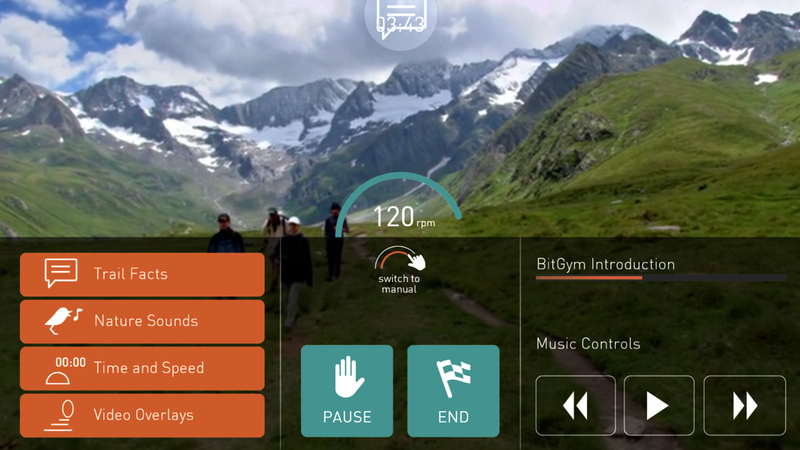 The interface isn’t quite as polished as BitGym and the tours don’t seem quite as interactive, but you do have the option of purchasing videos for $7.99 a pop and it’s yours to keep. Can BitGym and Virtual Active be considered “games”? The criteria on this blog has always been that I’ll review games that are “so fun you forget you’re exercising”. In the case of these apps, you don’t forget you’re exercising, but you certainly forget you’re in your boring den or home gym as you travel the world virtually. Download links: iOS and Android. 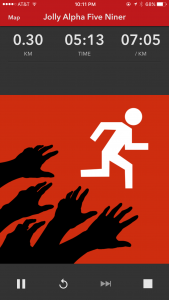 One of the most popular exercise games for smartphones is Zombies, Run! for iOS and Android, published by Six to Start in 2012, but continually updated since then with fresh updates. As of this writing, it has an average rating on the iTunes store of 4 1/2 stars from more than 5,700 ratings and a rating on the Google Play store of 4.3 from over 11,000 ratings. And the rave reviews continue to roll in from the over 3 million runners using the app. 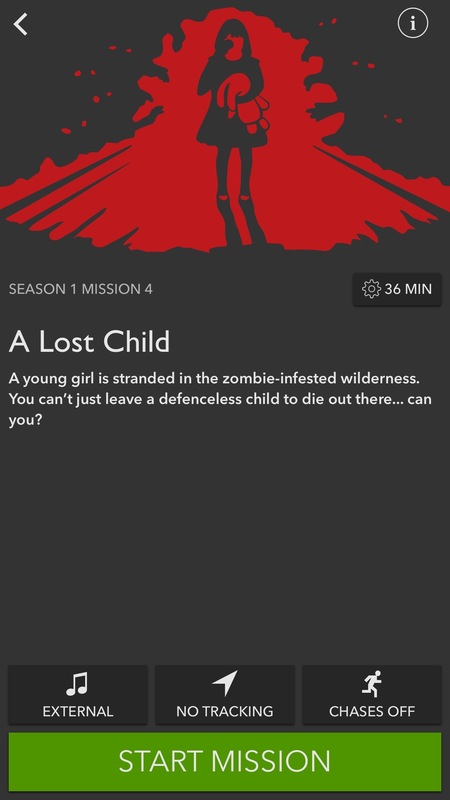 There’s also a special version called Zombies, Run! 5k Training for people that helps train and condition runners who are complete beginners through the point where they can run 5km (3 miles) without trouble. 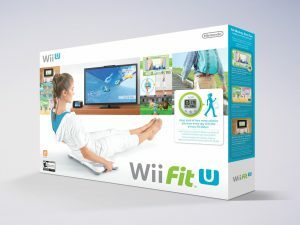 One drawback to video game workouts using consoles was always that as you exercised you were stuck in front of your TV. Those who wanted to walk, jog, or run outside had to leave their TVs. There was always the option of putting in a playlist of music to run to, or regular “tracking apps” that charted your progress, but those only went so far in terms of taking your mind off your exertion as a true fitness game could. But an obvious challenge to making a fitness game for walkers, joggers, and runners is that while you’re moving it’s difficult to stare at your screen without tripping over yourself or bumping into people or things. And so the creators of this game came up with an idea that’s pure genius–they took the screen out of it. The entire “game” is played through audio. In the opening screens of the game you’re told the premise. Only a few have survived the zombie epidemic. You are a Runner en-route to one of humanity’s last remaining outposts: Abel Township. 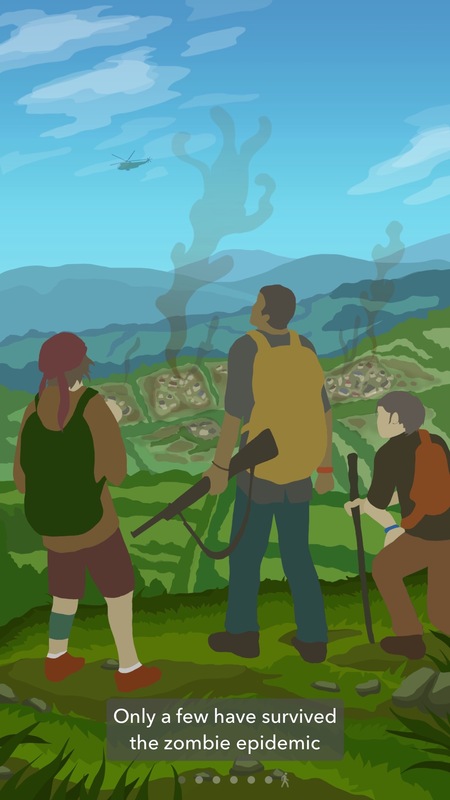 They need your help to gather supplies, rescue survivors, and defend their home. You start by selecting a “mission”. When they first launched the game it consisted of 23 missions, but each subsequent year for the last 5 years they’ve added many more to the point where as of this writing there are over 200 missions to choose from. Once you start the mission the screen goes blank with nothing but the Zombies Run logo, the elapsed time, the distance run, and your pace. In audio you’re immersed into something reminiscent of an old radio drama (think Orson Welles’ War of the Worlds) complete with narration and sound effects. 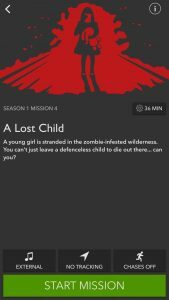 The first story (“Jolly Alpha Five Niner”) immediately pulls you in, where you’re involved in a helicopter crash that puts you in the middle of a dangerous location full of zombies. By running, walking, or jogging, you can imagine yourself as part of the story. As you move, you’ll collect supplies and rescue survivors. Optionally, you can turn on a feature called “Zombie Chases”–if you do, then in the middle of the story you may encounter a pack of zombies which you’ll need to outrun by increasing your speed–get caught by the Zombies and you’ll lose some of your supplies. 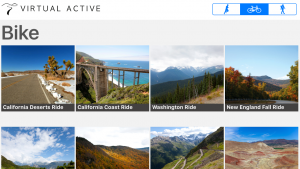 You can configure the app to track your motion in a variety of ways. “GPS” will use your phone’s location services to track distance and pace, the best option if you’re moving outdoors. “Constant Pace” assumes a constant pace throughout your run. “Step Counting” will use your phone’s sensors as a pedometer, tracking the number of steps you take and estimating distance and pace. The screen will track the distance you’ve covered, the time elapsed, and if you have step counting turned on you’ll also see the number of steps you’ve taken. Each storyline lasts about 30-40 minutes, the duration of an excellent workout. The production is so good you really get immersed in the story (especially if you have “Zombie Chases” turned on). The characters in the story will interact with you as if you’re part of the story (although they won’t ask you to do things like run off your normal path). When you finish your run you’ll see an end screen that shows you your elapsed time, total distance run (in miles or kilometers), total calories burned, pace, and number of steps. It’ll also show you a map of your running path, your accomplishments, and your game events (such as the supplies you picked up and when). Similar to the show “24”, events occur in real-time, which means there’ll be periods of times when things are silent; from time to time you’ll pick up “supplies” like a mobile phone, a case of bullets, a pack of underwear, a first aid kit, food, or a baseball bat. You can choose to play music from your playlist or from an external app in the background, and your music will be muted whenever the narration kicks in. There’s also an in-world “radio station” you can listen to to really immerse yourself in the story. 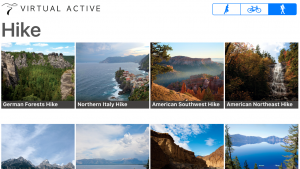 In addition to the Stories, there are a number of great added features. There are pre-made plans for those who are training for 5K, 10K, half marathon, or marathon races. There are “bonus” runs outside the story where you can stock up on supplies. And by running certain “races” you can unlock additional content. Something else I appreciate about the game is that it’s free, and you can enjoy the game and all of its stories without ever paying a dime. But after using the app a few times chances are you’ll think about paying the $2.99/month or $19.99/year for the Pro membership, as it allows you to unlock all missions without waiting, provides you additional ways to customize the game, and stores and lets you view an impressive set of statistics. There’s a huge numbers of stories now that have all kinds of fascinating plots that rival anything you’ll see on TV. In a lot of ways this game reminds me of the old Infocom text-based adventures. As video game developers try so hard to outdo each other with advanced graphics and performance, Six to Start is doing things the old fashioned way–doing fantastic storytelling with great production values and relying on the most powerful processor of all–your brain–to paint the pictures. In effect you have two choices–to slouch in front of the TV binge-watching the latest TV series about zombies, or to get off the couch and experience being part of the story. This is a great game for bringing new life into your otherwise repetitive morning or evening run. While a lot of people think of “augmented reality” as displaying an image over a real-world scene, this is augmented reality just the same, just through your ears. The newest “exergame” to hit the market is a close relative to what many deem one of the first exergames for smartphones. Back in 2012, Google developed a location-based game called Ingress for Android, which was ported over to iOS in 2014. 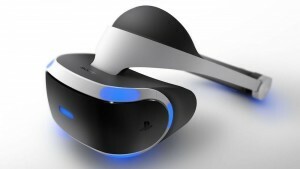 In the game, you move around a virtual world on your screen, which happens to correspond to the real world. In other words, the world itself is your “game board”. The game is essentially a worldwide version of “capture the flag”. In the game you join one of two sides–the “Enlightened” or the “Resistance”, and then you work with your side to “take over” areas in the real world by walking around your neighborhood, your work area, while shopping, and so on and capturing “portals” that are scattered around the virtual world (typically corresponding to certain landmarks in the real world). Ingress was hugely popular, with a reported 7 million players at its peak. The game developers spun off from Google as an independent company called Niantic in August 2015. But the game had its flaws. The first was in the premise. The science fiction plotline was clearly targeted towards “geeks”, so casual players were probably turned off, intimidated with words like “”Resonators”, “Mods”, “Amplifiers”, “Heat Sinks”, “Keys”, “Portal Links”, “MUF Capsules” and so on. The second issue was that in some circles there was widespread cheating going on, which proved a disincentive to players who played the game “honestly”. Still, Ingress is definitely a game worth downloading and checking out. Niantic did something brilliant. They teamed up with The Pokémon Company and released a new game for your smartphone called Pokémon GO for iOS and Android. Just about everyone who’s a Gen Y’er or Millennial has had a collection of Pokémon cards. I remember once watching some kids playing with their Pokémon cards, reciting every character, along with their info, type, heal points, stage, attack, damage, and weakness and thinking to myself…if only they used that part of their brains to memorize the Periodic Table or the Bill of Rights. Well, those kids are all grown up now and all have smartphones and disposable income. And so the time is rife for Pokémon GO. You start out Pokémon GO by signing into your Pokémon.com username and password, if you have one, or a Google ID. 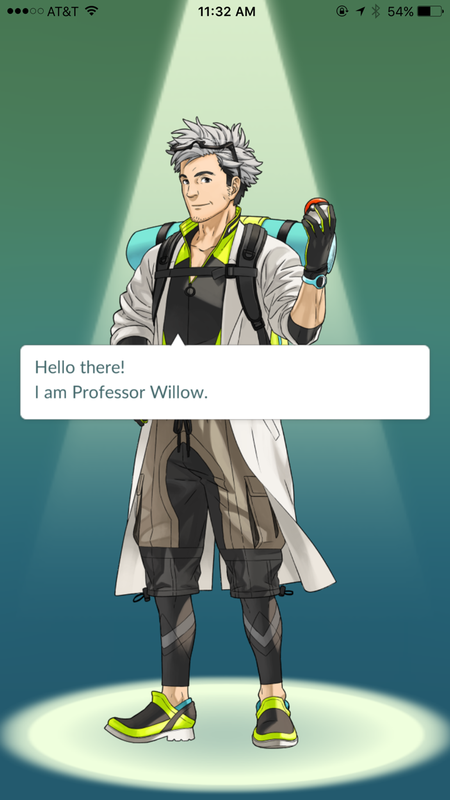 When you start the game you’re greeted by a Pokémon Professor, Professor Willow. Do you know that this world is inhabited by creatures known as Pokémon? Pokémon can be found in every corner of the earth. Some run across the plains, others fly through the skies, some live in the mountains, or in the forests, or near water… I have spent my whole life studying them and their regional distribution. Will you help me with my research? That’s great! I was just looking for someone like you to help! You’ll need to find and collect Pokemon from everywhere! Now, choose your style for your adventure. From there, you can choose a male or a female avatar and do very basic customization. Then you’re asked to give the app permission to access your camera. From there Pokémon GO works a lot like Ingress does. 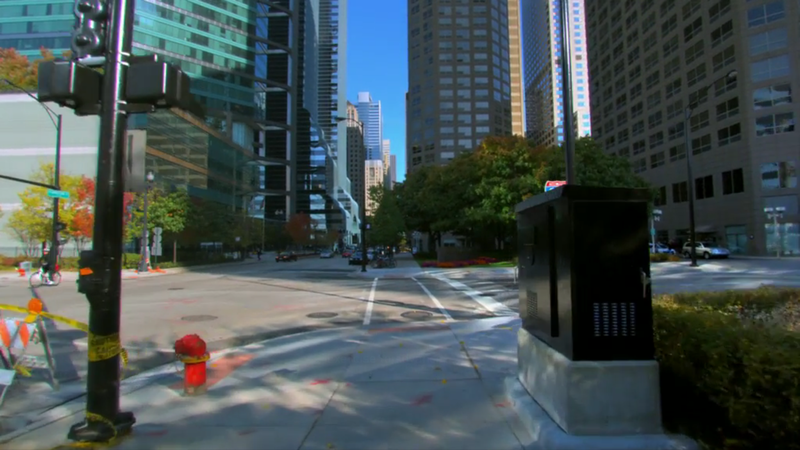 You see a virtual map on your screen where you’ll see streets that correspond to the real world. My initial view in Pokemon GO, which happens to correspond to the streets in my neighborhood. 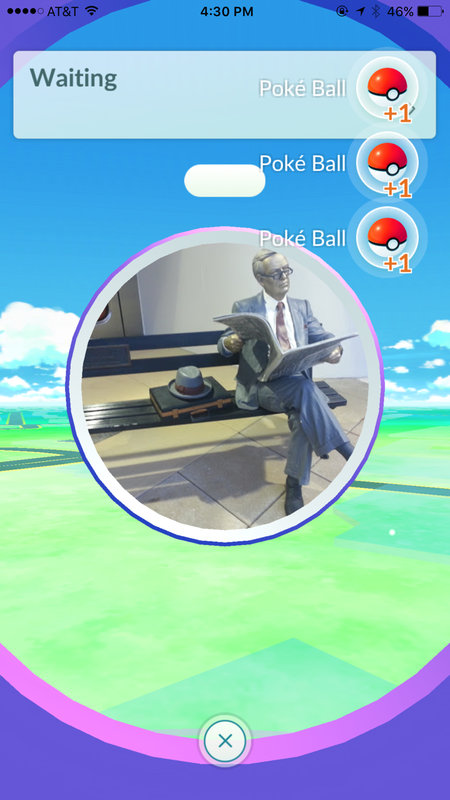 The good professor will hand you a few “Poké Balls” that you’ll use to capture Pokémons you encounter. Your first Pokémon will show up soon after that, and you’ll also be able to play with the camera feature. 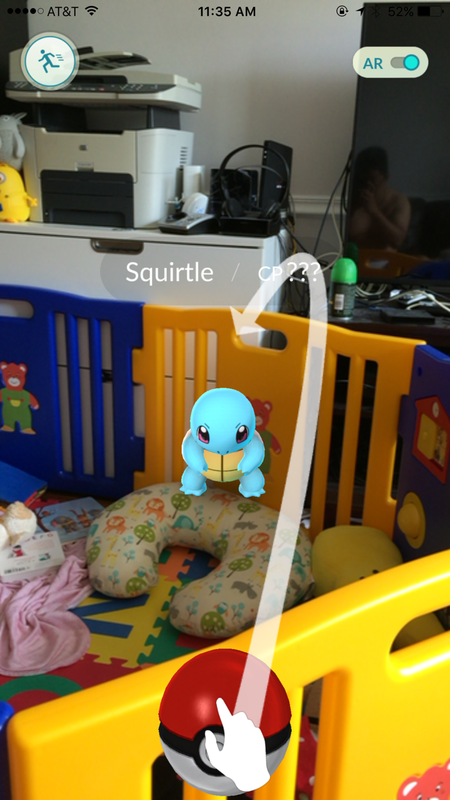 If you turn it on, you’ll see an image of your actual surroundings in the real world, and you’ll see the Pokémon hanging out there through the magic of augmented reality. In my case, it showed up in the baby’s playpen. You need to flick your screen to try to hit the Pokémon with one of your Poké Balls. Catch him and he’ll end up in your PokéDex. As you walk around the real world, you’ll encounter “PokéStops” (which correspond to landmarks in the real world–it’s what they called “Portals” in Ingress) where you can collect additional supplies. 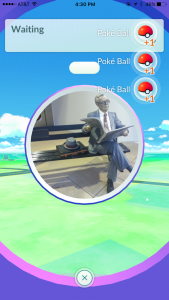 Just sitting in my apartment, there was a sculpture right across the street that I could tap and collect a few more Poke Balls. What’s cool about this is that I’m finding even in my own neighborhood I’m learning things about the real world I never knew before–the names and locations of sculptures and public artwork I’d previously just passed by without thinking. I could see on the map that there were more down the street, and the only way for me to get to them was to walk…and walk…and walk. And you need to walk–if you’re traveling by car or train you’ll be going too fast to “check in” to any location. As you collect the same species of Pokémon enough time, you can “evolve” them into a different Pokémon. And when you reach “Level 5”, in a concept similar to Ingress, you’ll be able to enter something called a “gym” and join one of three teams. In gyms your Pokémons can do battle with others with the goal of capturing the gym for your team. Unlike card games and video games the battles aren’t turn-based, but you can tap the screen, hold down your finger to build power for special attacks, and swipe to dodge attacks. The old rules from the card games and video games apply (e.g., water Pokemon are effective against fire). Battles are the most effective way to strengthen your collection of Pokemon and raise their levels. If you live in a big city, chances are you’ll be seeing a lot of people on the sidewalks in the coming weeks and months with their heads glued to their smartphone screens, and occasionally stopping and swiping at them. Now you’ll know what they’re up to 🙂 Just today I saw about ten people like this on the streets of Manhattan, desperately trying to look nonchalant, but clearly obsessing over collecting Pokemon items. This of course begs the questions, can Pokémon GO (or Ingress for that matter) really be considered an “exercise game”. You’re not really running, or breaking a sweat, or even getting an elevated heartrate. This is all true, but what it is doing is promoting more movement. For example, I take the train into Manhattan every day, and then I can either take a 10 minute subway ride or a 30 minute walk to my office. For example, in my daily commute after work I have the option of either hopping on the subway (at $2.75 a pop) for a 10 minute ride or taking a 30 minute walk to the train station. At the end of the day I’m usually exhausted and end up giving in and paying the $2.75. But for a time at least, trying to “catch them all” is probably going to give me all the incentive I need to save the money and walk for the foreseeable future. Similarly, if I’m walking and see a Poké Stop just a little distance away, I find myself walking out of the way to get it. This morning was a beautiful day and I opted to walk. 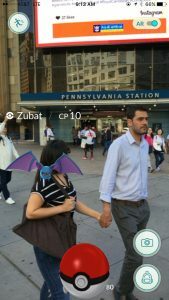 Right outside Penn Station I saw a Zubat to capture (being Manhattan, people weren’t getting creeped out that I was pointing my phone at them and swiping, but YMMV depending on how weird the people in your neighborhood are). 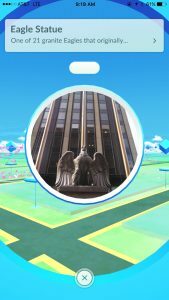 Being Manhattan, my map was filled with dozens of Poké Stops, including the Eagle Statue right outside Penn Station. As I walked I encountered many more monsters, including this rat-inspired monster, appropriately near the same place in the City where I saw real rats at one point. And the early reviews show the same thing–people are abandoning their cars and buses and trains and choosing to walk sometimes ridiculous distances to play this game and find all the items they can get. In a city like New York, there are certainly a lot! Niantic’s servers have had its troubles in the last few days since the app launched, most likely due to the huge amount of downloads and usage the app has gotten. This, unfortunately, has negatively affected early reviews for the game. Hopefully this will just be a temporary thing. Ultimately I’m impressed. This is a peek into the future of mobile gaming, where addictive (but rather mindless) games like Farmville and Candy Crush meet location-based services like Foursquare and Waze. When I was on the train and not able to play Pokemon Go, I fired up my Candy Crush and it felt so…pointless (granted walking around collecting monsters is equally pointless, but there’s enough extra value in the augmented reality experience that your brain convinces you it’s not). Put another way, walking around hunting for monsters and finding one every now and then gave me a thrill not unlike the thrill I get when fishing–even to the point of being more thrilled when I find and net a “big one”. It’s also is a brilliant way to extend the 20-year old Pokémon franchise, and since it has a much more accessible and understandable premise than Ingress, I fully expect it to take off and be as huge as any (every) other Pokémon product in history. Yes, it’s completely free and you can enjoy the game without ever paying a dime. However, there are in-game purchases that can enhance your enjoyment, such as purchasing Pokeballs, Incense, Lucky Eggs, Lures, Egg Incubators and upgrades so you can store more items and Pokemons. Purchasing each of these will require use of Pokecoins, which is fake money that you purchase with real money :). 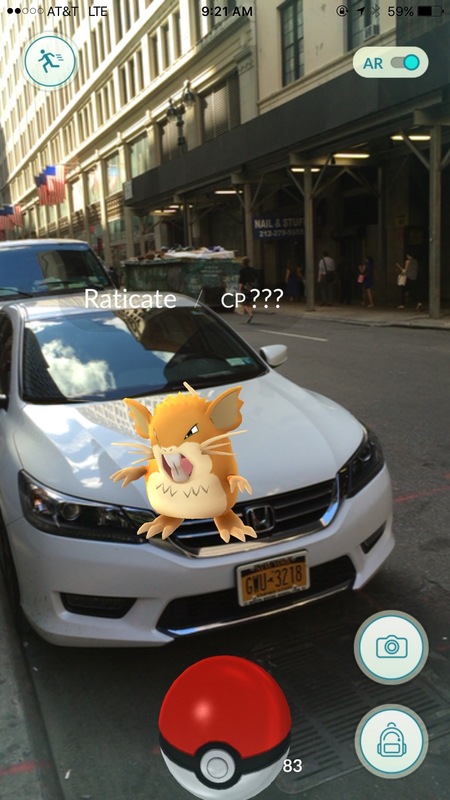 Does Pokemon GO use a lot of data? No, the average use will use about 5-10 megabytes of data for every hour of continuous play, and most sessions last much shorter than that. Even though it uses the same GPS as a mapping app, it uses substantially less data. It really depends. The game hasn’t been out a week and there are already reports of people getting robbed, people crashing cars, people falling into ditches and walking into oncoming traffic and each other, and so on. The key is to remind yourself of what it says on the opening screen–“Remember to be alert at all times. Stay aware of your surroundings.” Use your common sense. Don’t keep your face buried in your phone as you walk–your phone will buzz is there’s a Pokemon or a PokeStop nearby. If you’re on a crowded street and a Pokemon pops up, don’t walk and throw PokeBalls at the same time, but calmly step to the side and dispatch of the Pokemon calmly. If you’re alone at night and see a Pokemon or a PokeStop in an isolated area, let it go. Help! My Pokemon GO hung up! What do I do? Stay calm. If your Pokemon Go freezes after you’ve just caught a Pokemon, wait for the little “loading/saving” icon to appear in the upper left hand corner. If it does, your accomplishment was successfully saved, and you can force-quit the app and start over without losing anything. 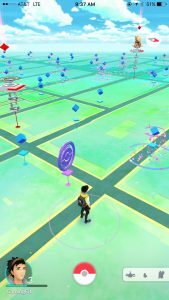 If you quickly re-open the app, chances are all the PokeStops and Pokemons that were there before will still be there. Unfortunately this is happening quite a bit, but expect it to get better as Niantic improves their servers and a lot of the curious users start dropping off. How do I catch Pokemon? 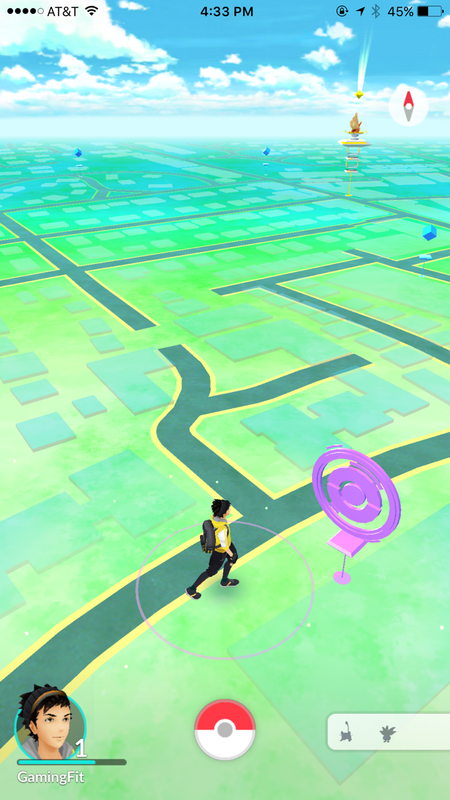 As you walk, from time to time different Pokemon will appear on your map (you don’t need to be constantly looking at your screen–your phone will vibrate to let you know). Tap on the Pokemon and you’ll be switched to an augmented reality view of your world with the Pokemon in front of you with a circle in front of it (my first bit of advice is to turn AR off using the switch in the upper right-hand corner–it’s cool the first few times but just gets in the way after repeated playings). Fling a Pokeball at the circle. It takes practice, but the key is to line up the Pokemon so it’s right in front of you, and then then watch the animated circle. Hold the ball down with your finger and then when the circle is at its smallest point, flick with the first angle and force to throw, aiming for the middle of that small circle. A red, yellow, or green circle shows how difficult it is to catch–green is easiest to catch, red is extremely difficult. The more advanced ones will move more and sometimes need several attempts to bag. You’ll get a bonus if you’re accurate and throw the ball into the ring it’s small. You’ll increase your chances and get a little bonus by making a little circular motion with your finger to “wind up” the ball and then fling it at an angle to shoot it in a “curveball”. Does Pokemon Go have to be open to hatch eggs? Yes, you need to walk anywhere from 2 to 10 kilometers (the requirement is listed under the egg) with the app open. For those who don’t know what we’re talking about, the eggs you’ve collected at PokeStops can be found in the Pokemon menu. You can carry nine eggs at once–once you’ve filled up with 9 you won’t be able to carry any more. You’ll need to put the egg in an incubator (you get one unlimited orange one at the start of the game, and you can purchase additional blue ones that are good for three uses) and walk. Right now I have 9 eggs, two that requires a 2k walk (1.2 miles), six that require a 5k walk (3.1 miles), and one that requires a 10k walk (6.2 miles). It’s a great way to get you to do more exercise. After you reach level 5, you pick a team–the red team, the yellow team, or the blue team. Ask other friends playing the game first what team they choose–once you choose a team you can’t change it. When you pass a “gym” (usually a public landmark of some kind), you’ll see which team it’s controlled by by its color. 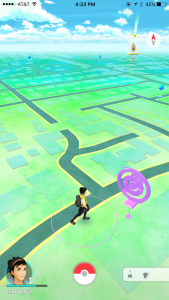 If you click on the gym you’ll see trainers like yourself who have occupied that gym. If you go to a friendly gym (your team’s color), and there’s an empty slot, you can take that slot by adding your Pokemon to the gym. If there’s no empty slot, you can still challenge the gym to a “friendly fight”–if you win the fight it’ll increase the gym’s “prestige”. If you happen to get the gym to the next level, the next slot is yours (until a rival team kicks you out, in which case your Pokemon will be returned to you). If you go to an unfriendly gym (another color), you need to put your best Pokemons against their best ones. Your mission is to defeat as many of their trainers as possible to drain their “prestige” to zero. Once that happens, you can take over the gym for your own team. How do battles in the gym work? First, you need to build up your Pokemon’s CP (combat points) by training and evolving it. You don’t want to be putting a Pokemon with a CP of 10 against one of 1000. Then, it’s time to fight (again, fighting a friendly team is just a “training fight” with one Pokemon that can help you increase the gym’s control for your team, fighting an enemy team is where you set up six Pokemons to attempt to knock them down or out). Battling itself is just a lot of tapping and swiping. Tap the screen to have your selected Pokemon perform its basic attack. When you see a “flickering” animation, it means the enemy Pokemon is about to attack and you need to swipe to get out of the way. There’s a blue meter called a Special Attack bar–once it’s filled up press down on the enemy for a few seconds to unleash the attack. Each Pokemon has a certain amount of “Hit Points (HP) and your goal is to wipe out your opponent’s HP before yours is. Your Pokemon will “faint” if defeated. In either case, you can bring your Pokemon back to fighting strength for the next time by using “Potion” and “Revive” medicine (which you collect at PokeStops). How do I train or evolve my Pokemon to have higher CP? Every time you catch or hatch a Pokemon, or place your Pokemon in a gym to defend it you’ll collect Stardust (which can be used for any Pokemon) and Candy (which apply to an individual “species”). You can use these to increase the CP of your Pokemon. Come on, is this really exercise? Those of you who’ve been with me since I started blogging about exergaming back in 2009 may know that I also ran a few other sites. There was PS3Fitness.com for those who wanted to use the Playstation Move to exercise, XboxFitness.org for those using an Xbox 360 or Xbox One, and of course Nutwiisystem.com for fans of the Wii and Wii U. Just as I decided to retire the Nutwiisystem name, I’ve also decided to consolidate all my past PS3Fitness.com posts into Gaming.Fit. If you’d like a trip down memory lane, you can browse all my old Wii and PS3 reviews from this site now. While the exergaming craze that began with the Wii has died out for a while, the concept of “working out without realizing you’re getting a workout” is not dead, not by a longshot. The biggest thing in the last few years has of course been wearables, thanks to the enormous success of the Fitbit, followed up by smart watches like the Apple Watch (by the way, for those of you keeping score at home, I did buy an Apple Watch but I decided to return it mainly because I didn’t think its short battery life made too much sense for me as a full-time fitness device…I’ll be giving it another shot when Apple Watch 2 launches later this year). But just round the horizon is brewing a new breed of exergaming. As my last sporadic posts have hinted at, it’s going to be amazing. Check back here from time to time and I’ll be sure to give you the latest!